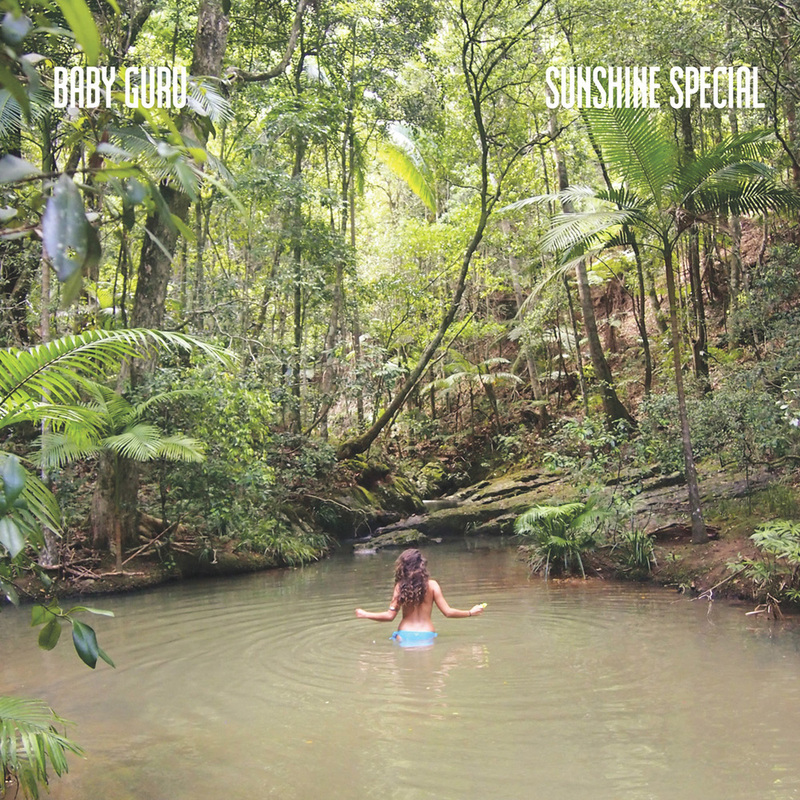 The first installment in Baby Guru’s Phase Two, finds the band experimenting with different styles, moods and languages while paying tribute to the land of sunshine and welcoming its fourth official member. “Marmalade Skies (Part I)” is an a cappella short song, playing almost like a canon and “Marmalade Skies (Part II)” is its Moog-arized reprise. “Στο Νησί της Αφροδίτης” and “Ήθελα να σου πω” are homages to the Greek pop-rock scene of the past. “Bedouin’s Spiral” is an improvisational piece, performed live in the studio, while “Monday Generation” is an outtake from Baby Guru’s debut album. The homonymous track is a Brazilian influenced la-la-la sensation and first single “Glance” is Baby Guru’s take on modern pop. All in all, “Sunshine Special” is a daring, polymorphic mini-album that demands your attention and at the same time, an abstract dedication to the eight shades of summer. Being formed in 2009, Baby Guru is an ever evolving musical organism conceived by three childhood friends, in a basement. Now, six years and three studio albums later, they ‘ve been considered a leading band of the booming Greek rock music scene. Unlike though your typical rock band, Baby Guru play a colorful and otherworldly – sounding psych tunes, as described by Mtviggy after being picked as one of the 5 most interesting discoveries of 2014′s CMJ music marathon in New York.